What Causes Alarm Clock Headaches? 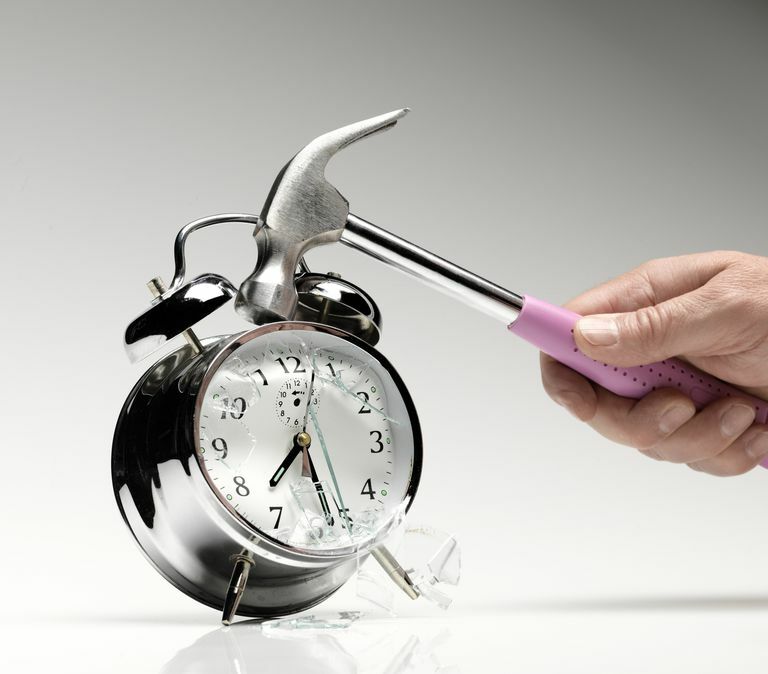 Why are cluster headaches called alarm clock headaches? Why do these headaches commonly occur at night? One theory is that cluster headaches originate from the hypothalamus – the regulator of a person's sleep and circadian rhythm. Let's explore this theory a bit more. Why Are Cluster Headaches Called Alarm Clock Headaches? Cluster attacks tend to start at night, about one to two hours after a person has fallen asleep. They also typically occur at the same time every day or every night, and they usually recur at the same time of year. This is why cluster headaches are sometimes referred to as alarm clock headaches, because they tend to occur at specific intervals of time, like clockwork. The fact that many cluster attacks begin at night has led scientists to believe that somehow the hypothalamus (your biological clock) is involved in its origin. A “cluster” of nerve cells in the hypothalamus known as the suprachiasmatic nucleus (SCN) serves as the master circadian clock—interpreting the length of day and night based on information from our eyes. The SCN then sends messages to another part of the brain, called the pineal gland—a small gland in the brain that releases a hormone called melatonin. The release of melatonin is maximum during the night when it is dark and low during the daytime when it is light out. Melatonin is then involved in a complicated feedback loop back to the hypothalamus. The hypothalamus is also involved in sending nerve signals to the side of your face in which you experience pain. This nerve activation is called the trigeminal-autonomic reflex—a fancy scientific term for an intricate nerve loop in the face that relays pain messages to the brain. Is The Hypothalamus Theory Supported By Science? There are scientific studies that support the hypothalamus's role, especially the suprachiasmatic nucleus (SCN), in cluster headache attacks. For instance, it's been found that nighttime melatonin secretion is abnormally low or suppressed during a cluster attack (when it should be high). Remember, melatonin feeds back to the hypothalamus. That being said, while melatonin is sometimes used to prevent cluster headaches, there is still limited scientific evidence studies to back up its use. Even more convincing, though, is that neuroimaging studies have found that the hypothalamus is hyperactive during cluster headache attacks, and when the hypothalamus is targeted (as in hypothalamic deep brain stimulation), cluster attacks are reduced. Deep brain stimulation of the hypothalamus is currently reserved for those with chronic cluster headaches who have not gotten relief with more traditional treatments (like oxygen or triptan therapy). This is because it is a surgical procedure and can cause bleeding into the brain, which is potentially fatal. The bottom line here is that while the precise origin of cluster headache is largely unknown, it likely involves the hypothalamus. With that knowledge, therapies that target the hypothalamus as a regulator of cluster headaches need to be further explored. If you suffer from cluster headaches, you may consider discussing your sleep patterns with your neurologist or headache specialist for further insight into how your circadian rhythm and head pain are linked. Leone M, Franzini A, Proietti Cecchini A, Broggi G, Bussone G. Hypothalamic deep brain stimulation in the treatment of chronic cluster headache. Ther Adv Neurol Disord. 2010 May;3(3):187-95. Rubesh G, Buture A, Ahmed F. Evidence-based treatments for cluster headache. Ther Clin Risk Manag. 2015;11:1687-96. Stillman M, Spears R. Endocrinology of cluster headache: potential for therapeutic manipulation. Curr Pain Headache Rep. 2008 Apr;12(2):138-44. Weaver-Agnostoni. Cluster Headache. Am Fam Physician. 2013 Jul 15;88(2):122-28.